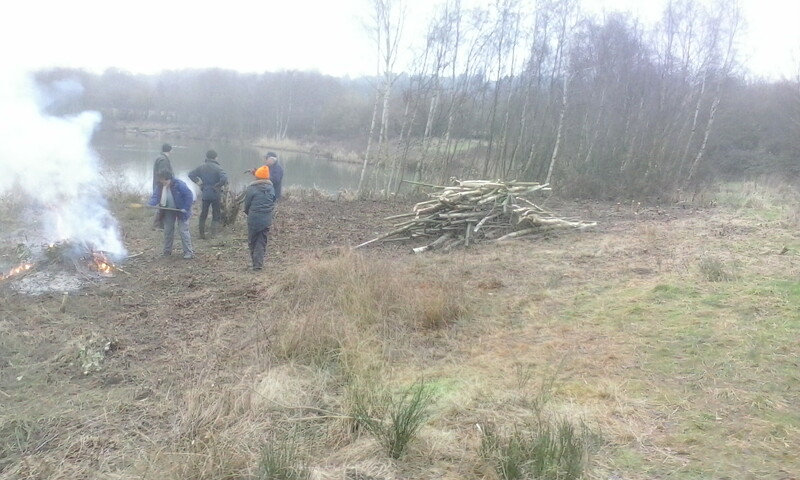 On Sunday 12th February we had our penultimate work party of the winter clearing scrub, birch and willow from around the acidic scrape near Grove Hide. With an excellent turnout of 19, volunteer leader Jane got us all well organised to attack the scrub at the end of the scrape. 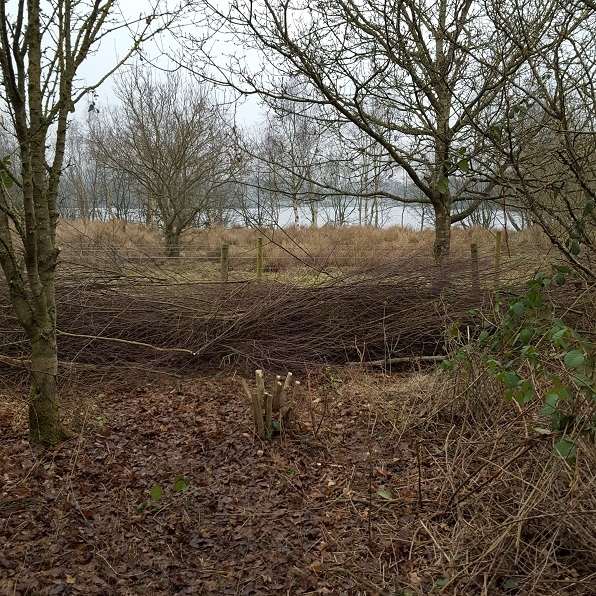 With so much brash and a reluctant fire, Tony took some of the volunteers and extended the dead hedge alongside the path round Horseshoe lake. This looked really nice at the end and gave us a productive task while the fire started. 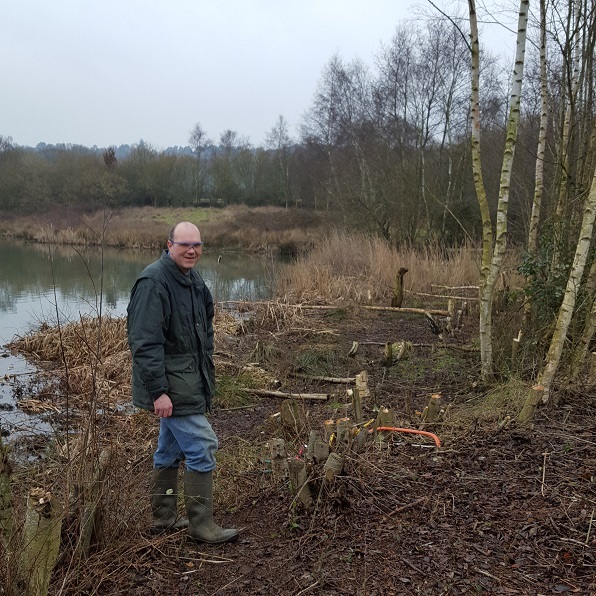 As well as this, Bob was clearing scrub from around the hide to improve the views and Andy and a team were cutting back the birch and willow alongside Grove Lake. Some of the bigger birches were felled into the water to provide low level perches for ducks and other birds. 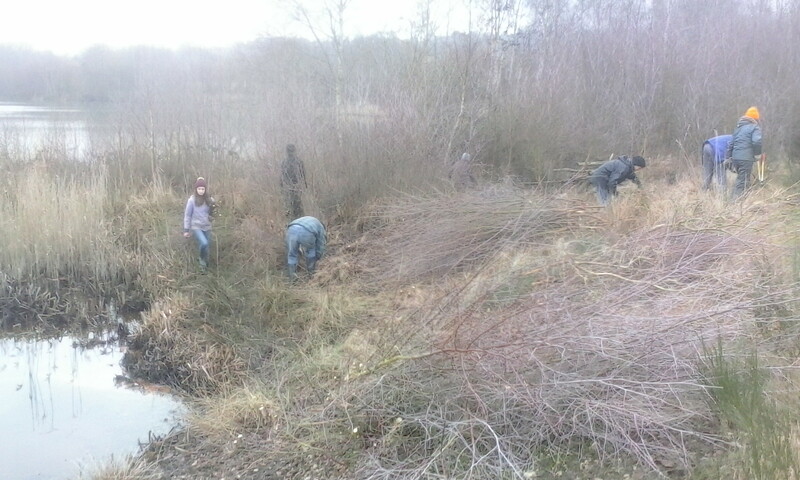 By the afternoon the fire was burning well and volunteers were clearing the bramble and remaining thinner birch. We even saw a vole (or was it a mouse?) scurrying across to the logpile. There are still a few birches to come down next year but the results of the day were very impressive. A big thank you to all our volunteers for all the hard work you have put in. We hope you enjoyed yourselves and will return for our last Sunday task on 12th March where we will open up some light into the “ochreous” stream and hopefully build a “stumpery” for stag beetles.